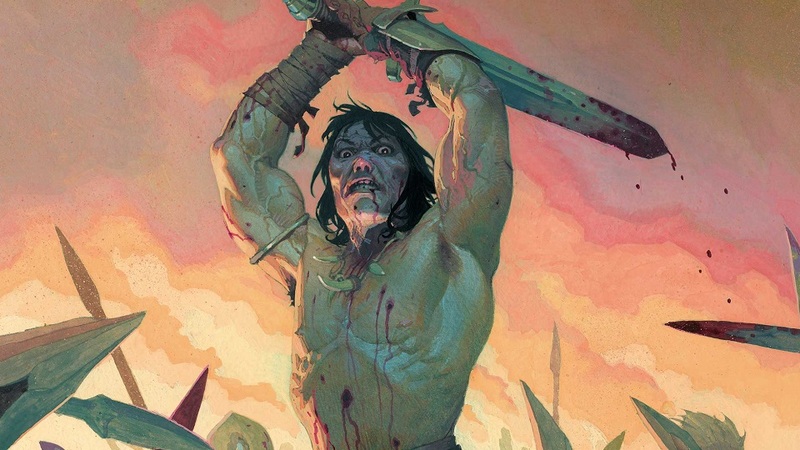 'Conan the Barbarian' Returning to Marvel Comics in 2019 - Horror News Network - The Horror News You Need! 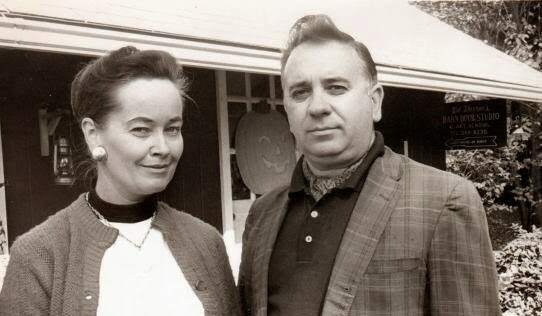 According to the official Marvel Comics press release, Robert E. Howard’s sword-swinging warrior Conan will once again return to the publisher that made him famous. Conan the Barbarian was first published by Marvel Comics in 1970 and stayed with the company until 2003 when Dark Horse Comics acquired the license. Marvel published over 650 Conan adventures during their initial run, with many of those tales being printed under the flagship title and the more adult Savage Sword of Conan comic magazine. 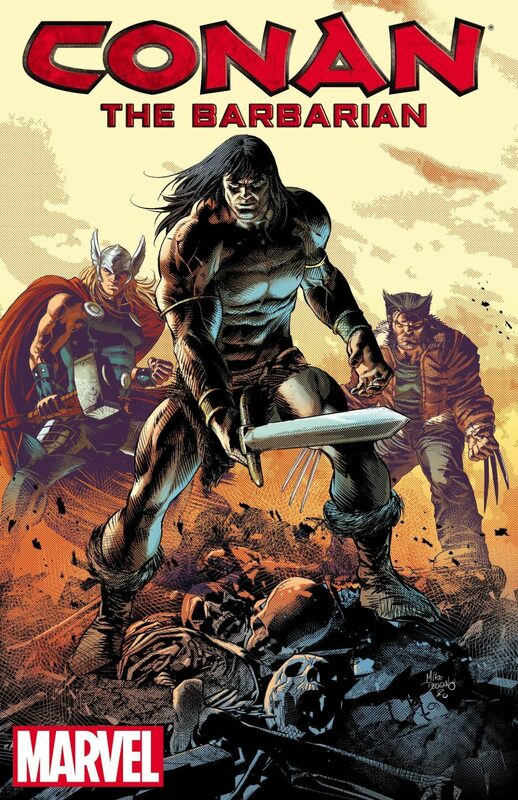 No specific projects or creative teams have been announced for Conan at this time, but you can check out the Mike Deodato illustration below (along with a few other “savage” Marvel heroes) that commemorated the deal. Marvel will not only produce new stories featuring the strong, silent slayer, but Marvel will also once again have the rights to all of the stories they published under their banner over the years. These archival materials may very well end up being published in Marvel’s popular Omnibus editions, just as the company did recently with their classic Star Wars stories, once the license reverted back to the publisher from Dark Horse Comics. Stay tuned to Horror News Network for more announcements regarding Conan and his continued adventures, in both the four color and live action world.